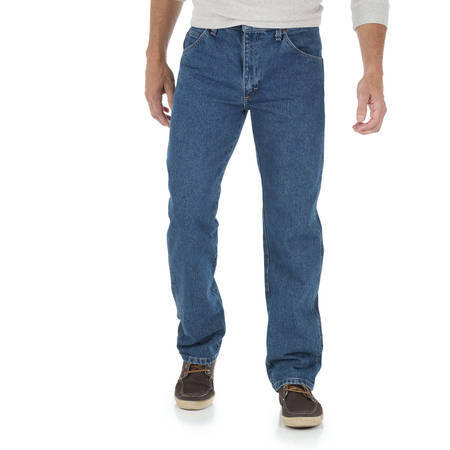 Add comfort and style to your wardrobe with these Wrangler Men's Regular Fit Jeans. They're ideal to wear for relaxing at home or for outdoor work. 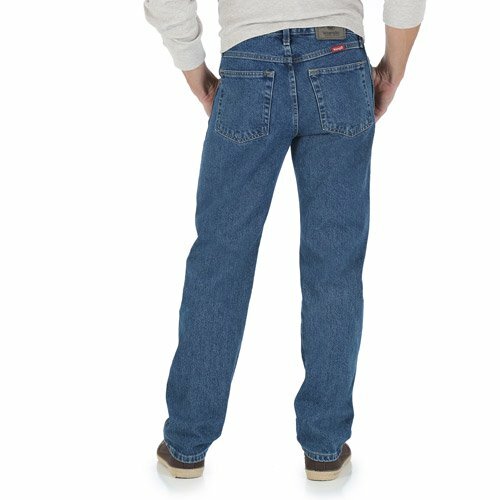 These Wrangler men's jeans have a five-pocket design for combined functionality with traditional style. They're made of soft 100 percent cotton material that's also machine washable for easy care. You can pair them with a tee or polo shirt for a nice casual look. These jeans come in a variety of sizes and colors. Choose from sizes: 28" x 30" to 42" x 34"
According to the size chart I need 31/33, but 32/34 fits nice as well. Made in Mexico. I simply like it. Lost weight recently and almost went with 33x29, however I need the shorter 28" inseam and you do not offer it with all waist sizes. You folks DO realize that there are alot of us short legged people, rather than the tall thin dudes in your ads. Recommend you continue to offer shorter inseam pants and even expand to include all waist sizes. 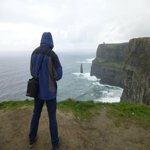 My husband is tall with a medium build, hard to find jeans! Wrangler not only had his size but in several different colors! He hasn't had black jeans in years! It was easy to order, reasonable price, and we received them within a couple days. I now have a place to get him jeans ending my frustration and they fit him so nicely thank you! I've progressed from 36X32 to a 38X32 relaxed fit jeans in these Wranglers, but after losing 30lbs and getting more muscular with weight training, I've gone down to a 34X32 regular fit. Good news for me, but also a testament to how great these jeans really are. I love the color selection in the jeans (black, stone gray, dark blue, light blue), but I particularly like the fit and appearance...not to mention the price! They are all the brand-name jeans I need to wear, and they look great at that. Highly recommended. Excellent condition and thickness and color. Better than jeans three times the price. Great selection of waist sizes as well. For the odd numbers like my size 35 waist 34 length. 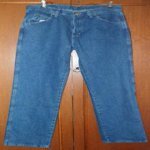 Jeans not sized correctly, as older style which I wear now. I'm comfortably wearing my old 32 waist Wrangler Regular Fit Jeans right now, but couldn't get into either of my recently delivered new Wrangler Regular Fit Jeans. One of your Customer Support reps told me that the darker color in this fit apparently runs smaller? If so, why doesn't the website reflect this? Going down in waist from 40 to 38 was a noticeable shortening between crotch and top of waistband. Like 1-1/2 inches shorter. So i returned them. That bit of info cost me $25 in shipping/return shipping. The more expensive 13MWZ's fit much better. No Mo Wrangler for me! Have noticed a change in quality over the past few years. Fit now varies from country to country of origin and none fit as they once did. Front pockets are so small I can hardly get my hand in them. Recently ordered 2 pair 35 waist, 34 length. They are labeled 35 and 34 however the waist is as tight as my 34s and the length is about 36. Also they never have the color I want in my size. Now looking for other jeans that are not L _ _ _ s! I have been buying the same pants your years. This time the size on the label was right but the waist measurement was too small. Had to return them. Will have to go to a retail store and try them on from now on. Can't trust mail order anymore. Terrible fit, back seam 2 inches shorter than usual. Returned for credit. 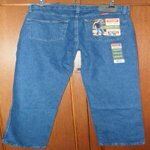 Will have to try to find another brand of jeans after wearing Wrangler jeans for more than 30 years.